Apple’s new Photos app has a clean interface and seems to be faster at moving through large volumes of photos. But it offers almost no new photo editing capabilities, leaving the app as a so-so beginner-level photo processing tool. What’s worse, Apple is trying to tie it to a new iCloud photo sharing scheme that will cost most users $20 per month for a service of limited utility. Thankfully, there are better, cheaper alternatives. Apple Photos is intended to replace both iPhotos, the venerable photo editing app that comes free with all Macs, and Aperture, a more advanced software program aimed at professional photographers. It also shares more of the look and feel of Apple’s photo apps on the iPhone and iPad, making it easier to move from one device to another. The look and feel of the new program is completely different from iPhoto. Gone are the gray backgrounds, replaced by a clean white design. You can’t just go to the Apple store and download Photos. It is part of the latest update (10.10.3) to Apple’s operating system, Yosemite. It took me about 45 minutes to download and launch the upgrade and then when I launched Photos, it took another hour to load the 10,000 photos from my iPhoto library. Right off the bat, you’re asked whether you also want to upload your photos to Apple’s iCloud remote storage system. The advantages of doing so seem obvious, but Apple does not tell you what it costs, at least not at this point in the process. 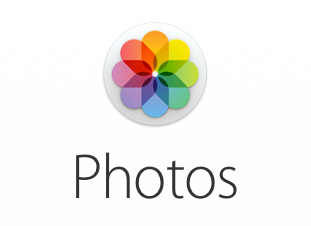 If you do upload your photos, they are then accessible from any other Apple device you own, such as an iPhone or iPad. The actual photos reside on Apple’s servers, but a thumbnail is downloaded to your devices, so the shared photos don’t take up all of your limited iPhone or iPad storage space. When you click on the thumbnaijl, an image sized appropriately for your device is downloaded. In addition, when you edit one of the photos, the edited version appears in seconds on all of your other devices. It’s a cool feature, but I question whether it is worth the money. Money? Did I mention what this costs? Apple gives you 5 gigabytes of storage for free. For $1 per month, you get 20 gigs; for $4 you get 200 gigs; or $20 for a terabyte. That sounds reasonable (I paid $100 annually for the old dot.mac service), but consider the competition. Google gives you 15 gigs for free, and 100 gigs for $1.99. A terabyte will set you back $10 a month, half what Apple charges. But why pay at all when Flickr gives you a terabyte for free? Yep, venerable old Flickr, owned by Yahoo, wants NOTHING for the privilege of storing your photos. Flickr has an app for your iPhone or iPad so you have access to all of your photos on any device. Yes, there are limitations: Flickr has no editing tools whatsoever, so you have to clean up your photos elsewhere and then upload them. And no, if you edit your photos on your home computer or iPhone, the edits don’t show up elsewhere. But how often do you edit your photos anyway? Not much? Then none of this matters. You’re looking for the lowest price and free beats not-free. You regularly do heavy editing? Then Photos is not very useful to you anyway. Photos has basic photo editing options. You can crop the photo, adjust the color to get rid of the blue tint you got from standing too close to a fluorescent light, get rid of red-eye, and change the white and black levels to sharpen the contrast. There are adjustments for sharpening the focus, adding some silly Instagram-ish tints, lightening shadows and darkening highlights. But all of these adjustments apply to the photo as a whole. If your subject is sitting in front of a window and silhouetted by the bright back-light, you can lighten their face, but only by brightening the overall image. You can’t just go in and lighten only the face. Adobe’s Photoshop allows you to do this and that’s one of the reasons it is the gold standard of photo editing. Photoshop has multiple selection tools, so you can choose and manipulate every element in an image. In addition, Photoshop allows you to superimpose one image over or under another and then play with the way they combine. Or you can clone one part of an image to cover up something else, an often under-appreciated feature. Don’t like the light switch sticking out of your subject’s head? Just clone the blank wall adjacent to the switch to cover it up. Or if the color is uniform, select the paint tool and paint it away. Photos has no such tools. In fact, it has nothing that really improves on its predecessor. And the tools it does have are hidden where many users won’t find them. Open Photos and go to the main screen to edit your images and you may be baffled. Apple design guru Jonny Ives loves to strip down products to their most basic form, but here he has pushed form over function and the result is a botch. if you look long enough, you’ll see a very small “Edit” button at upper right. Click on that, and you will see links to seven options: Enhance, Rotate, Crop, Filters, Adjust, Retouch and Red-eye. Five of them, Rotate, Enhance, Red-Eye, Crop and Retouch, are all part of the Quick Fixes in the old iPhoto. I stared at them for a long time trying to figure out if that was all there was. Eventually, after clicking on each option several times, I noticed that when I clicked on the Adjust link, an Add link appeared at upper right. What could that possibly lead to? Oh my! An entire set of advanced photo editing tools are all here, buried two clicks deep. The Add button allows you to add a Histogram plus Sharpen, Definition, Noise Reduction, Vignette, White Balance and Levels options to your screen. Closer examination, however, reveals that none of this is new. The old iPhoto also had an Adjust option, but it was in a large tab at the top, next to Quick Fixes and Effects. In iPhoto you get your histogram, and you can adjust for Sharpness, Definition, and to tweak Noise, Exposure, Contrast, Saturation, Highlights, Shadows, Temperature and Tint. I haven’t compared every option, but they seem identical even if a couple of labels have been changed. So where does that leave us? Basically, back where we started. iPhoto, an under-achieving photo editing tool, has been replaced by Photos, which strives for no higher ground. Perhaps Apple has a secret project to create a serious rival to Photoshop, which has angered many semi-professional users by switching to a monthly rental fee to access the program. Photos is certainly not that alternative. Yes, it appears to be faster than iPhoto, but it offers no improvements for editing. That’s a disappointment, given the Mac’s tradition as the world’s premier graphics computer. There are promising alternatives (see our review of Affinity’s Photo, above) and my bet is that several challengers to Adobe will soon appear on the scene. It’s too bad that Apple is not among them. I am just a amateur photographer, you know I take my Daughter’s graduation, pictures of my dogs, and a few weather pictures because I am a weather enthusiasts. Nothing Apple has ever done for photo’s has never been very good. For such a elite technology company its surprising they dumb down all their apps and keep radically changing them for no apparent reason. Other then to make the UI fit their latest ecosystem. While I love their hardware and to some extent their operating systems. I tend to skip all the so called connectivity even though I do have a iPhone and Macbook Air. I typically use Microsoft cloud solutions because they work much better and have more even support across platforms. Apple is trying to branch out with iCloud drive but its still very handicapped compared to all the other options. Unless you totally love Apple which I don’t their is no reason to suffer with Apple apps when so many options are available.